This is my home. This is Iowa. This is farm country. These pictures show the beautiful scenery here. What they do not capture is the less-than-glamorous side: the hard labor, the investment of time and money, the nurturing of plants and animals (24/7/365), the fear of uncontrollable variables, and the never-ending piles of dusty, dirty laundry. 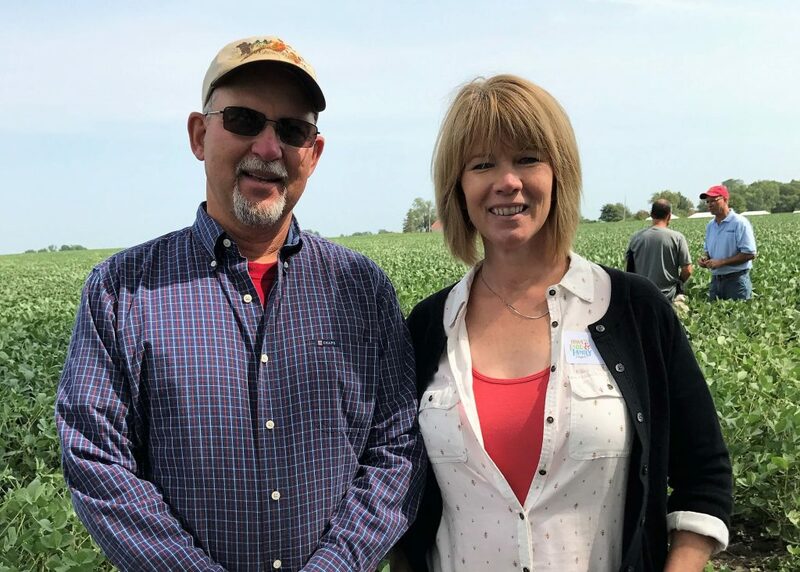 My husband and I were happy to be selected, along with about 50 other people, to go on a two-day tour of farms in SE Iowa. 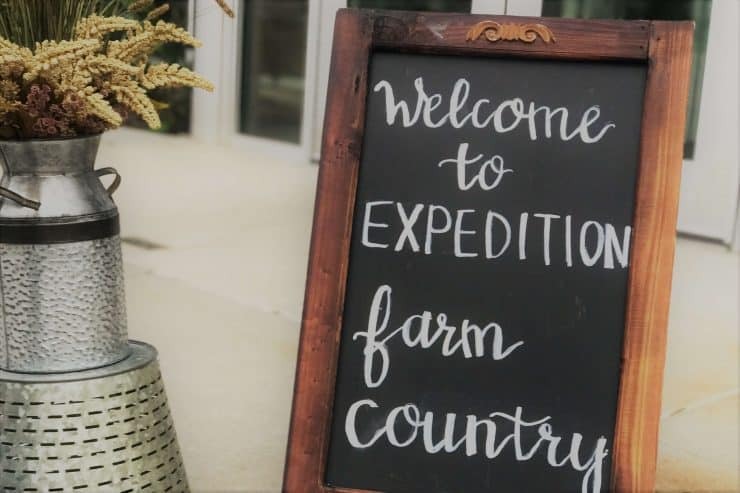 This trip was organized by the Iowa Food & Family Project to provide an opportunity for people to experience and learn about agriculture in Iowa. 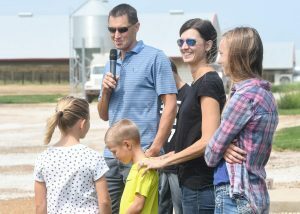 This year’s trip focused on farms near Pella, Oskaloosa, and Iowa City with stops at grain, pork, dairy, and turkey farms. 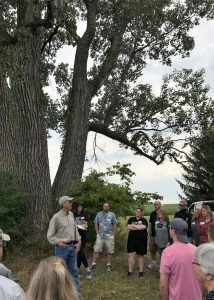 What I learned on this tour is that farming in NW Iowa is exactly the same as farming in SE Iowa. Faith, Family, Farming – My dad use to say that if you made these things your priority AND you kept them in order, everything would work out. 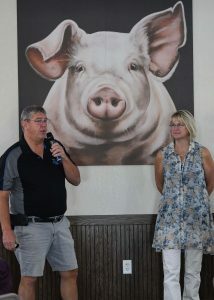 It was clear that the farmers we visited on our tour agree. There was evidence of this from the signs on their walls to the prayer offered before our meal, the 91-year-old grandfather who keeps an eye on the work of his son and grandson while mowing the grass on all their farms, the four children who waited expectantly for us to arrive in our big tour bus to show us their turkeys, and the passion with which they all told their stories of fortune, famine, expansion, community and history. The land and the animals are the investment and livelihood of these people. The products and machinery they use are absurdly expensive. They want to protect these things because it is the right thing to do and to not protect them is counterproductive and costly. Just because a farmer does not shout his/her case in the eye of the media or argue politics on the floor of a government assembly does not mean he/she does not have an educated, passionate answer. An intelligent and considerate question will be answered with an intelligent and considerate explanation. 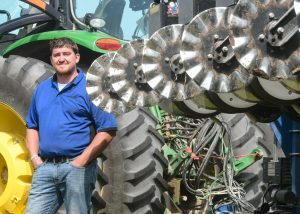 Technology is embraced by farmers. 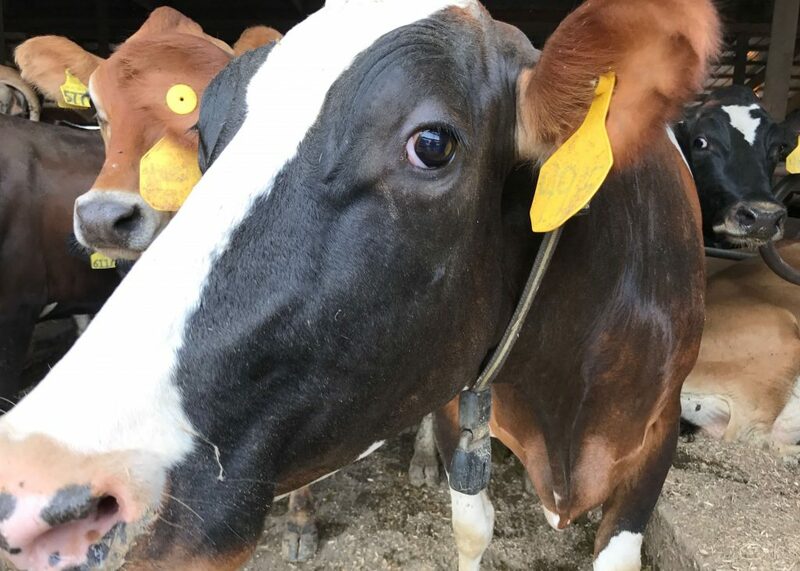 It is transforming the industry and allowing farmers to know their fields and animals at a much more detailed level than ever before. 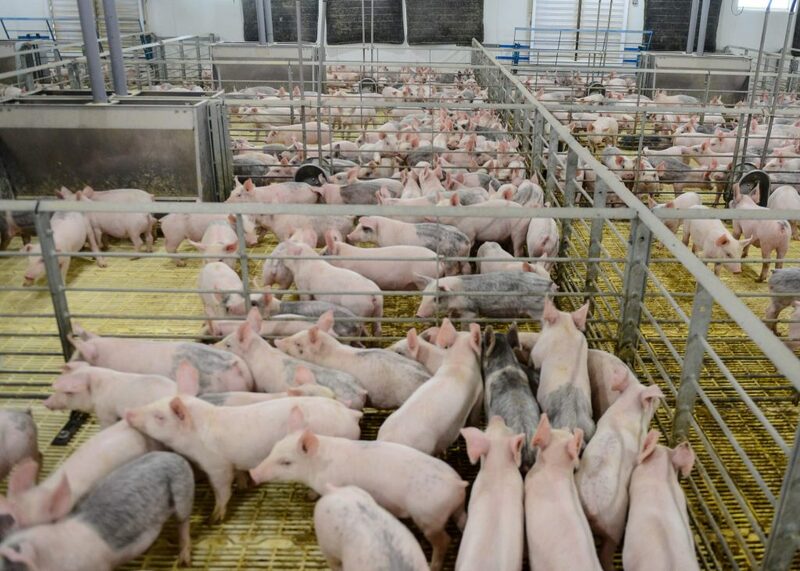 When a field fire is approaching a hog facility, and the manager of the facility receives notification of the fire and can control the temperature, misters, and, therefore, the comfort levels of the animals immediately through an app on his/her phone, that’s progressive farming. One bad apple spoils the barrel … and gets the attention of the world. 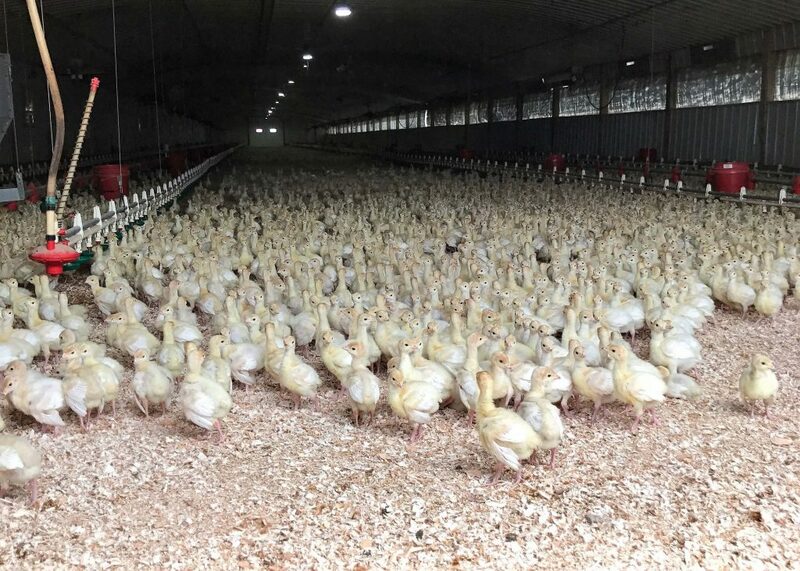 Of course there are farmers who don’t follow the rules and abuse their land/animals. Shame on them. But that shouldn’t tarnish the reputation of the good and honest. 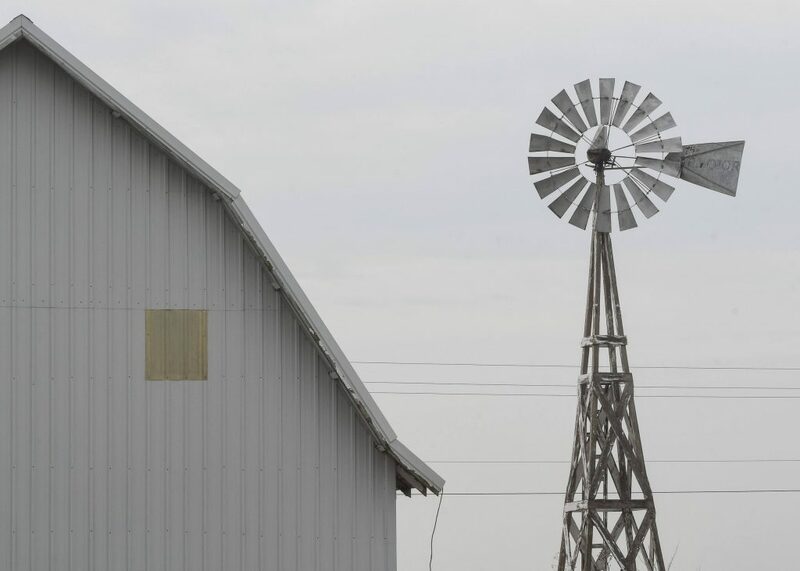 Farming in NW Iowa is as different from farming in SE Iowa as it is from farm to farm within the same county. Farmer’s are notorious for asking each other “How much rain did you get?” and then shaking their heads that just a mile or two down the road received the exact amount they needed. In the same way, they are grateful when the hail that damaged a field two miles away, didn’t touch a leaf of their crops. Of course, not all their fields are in one area so there’s the post-weather-event drive to check the conditions of the other locations. 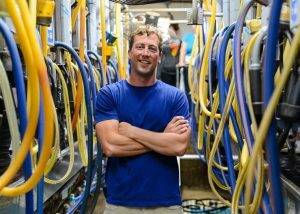 Unlike most business, farmers do not revel in the loss of their competitors. They mourn it because they are not competitors, they are friends and comrades. Variability is magnified when you talk about different parts of the state. 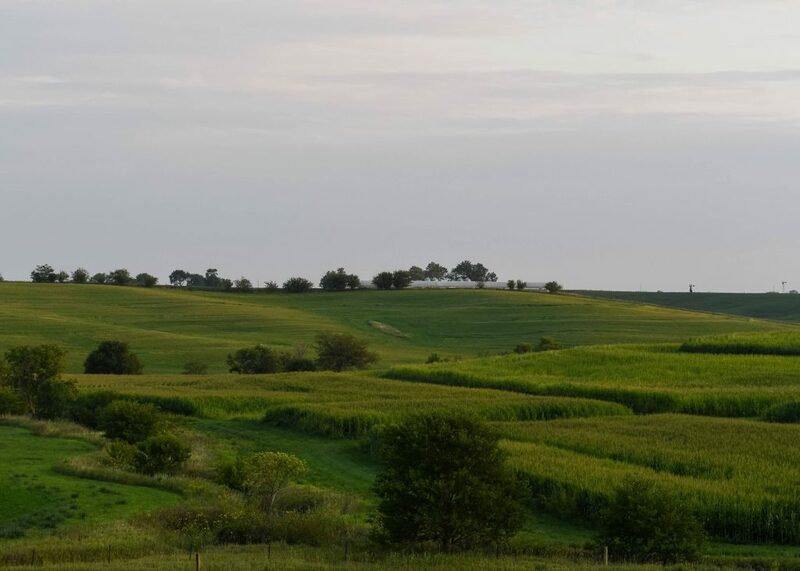 Soil types, pest problems, flat verses hilly land (no, Iowa is NOT all flat), and climate zones contribute to the science of farming. 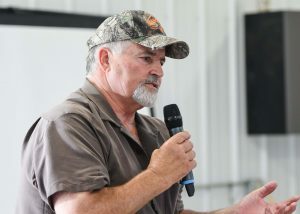 It is impossible to say that farming is the same all over the state. And, yet, it felt like home. After all, when it comes to farmers, it’s a tight community. At our first stop, one of our hosts asked me where I was from. Tom: Oh yeah? Which town? Tom: Really! Do you happen to know Ernie Glienke? Me: Yep! He’s my uncle and Godfather! That’s how it works around here. 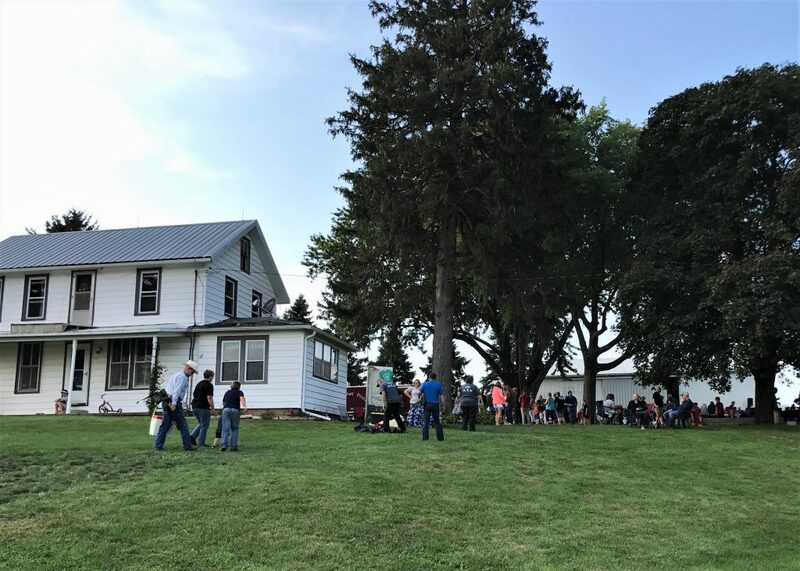 Faith, Family, Farming … and FOOD! As would be expected from a group with the word “food” in their name, we were fed well! Our trip started with a breakfast of yogurt parfait, hard-boiled eggs, and muffins. 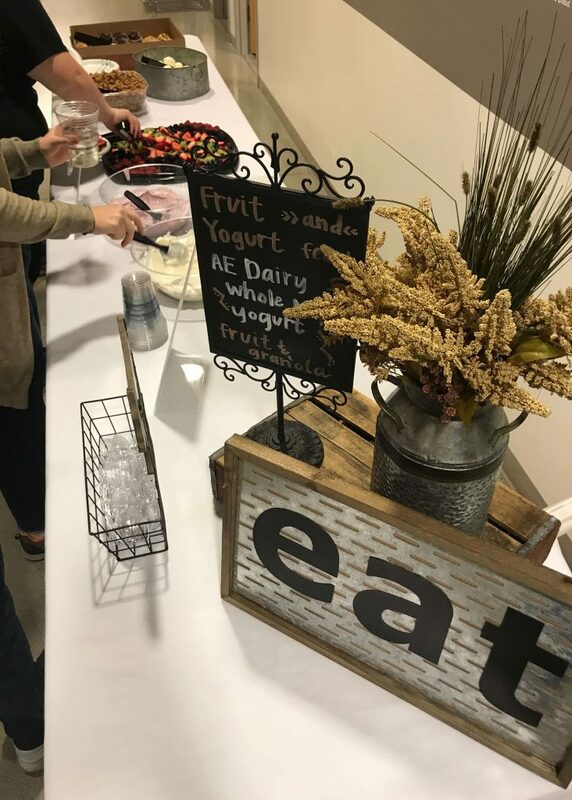 The parfait were compliments of Anderson-Erickson Dairy, a third-generation, family operated Iowa dairy. 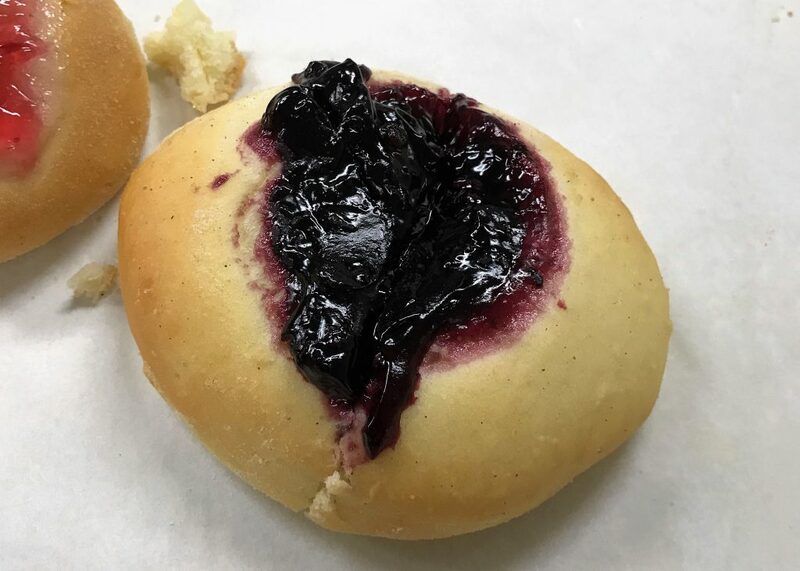 Along the way, local favorites were brought to us … you know, to tide us over! 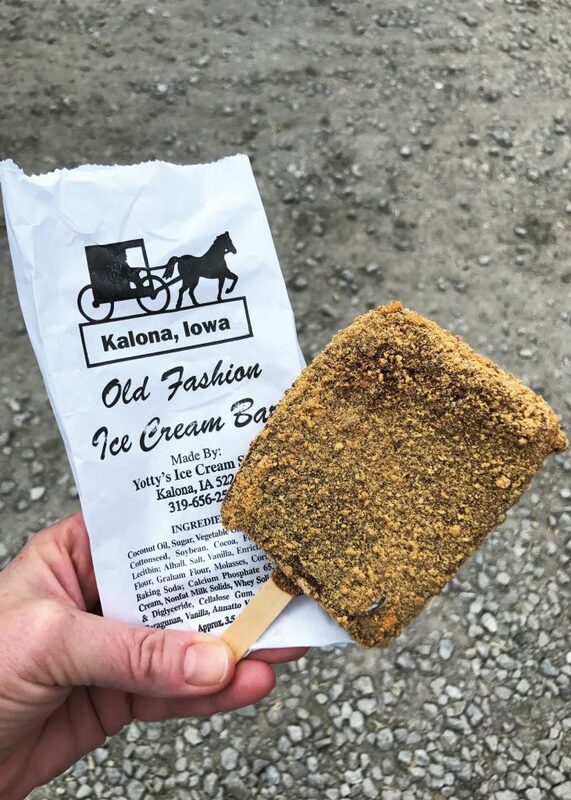 Homemade S’more Ice Cream bars from the Kalona Creamery and kolaches from the Golden Delight Bakery in Kalona. 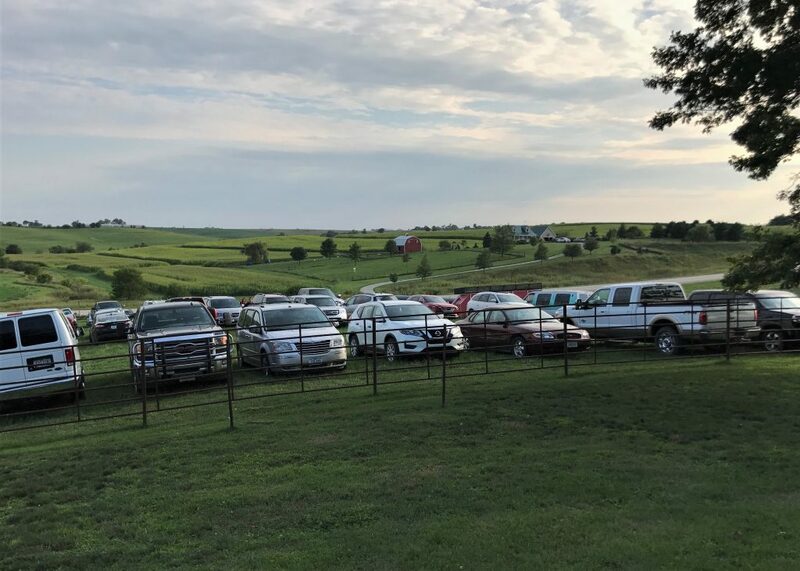 Blessed with beautiful weather, we were treated to a wood-fire pizza dinner on a farm near Wellman, Iowa. This pretty farm is home to the brick pizza oven of my dreams. 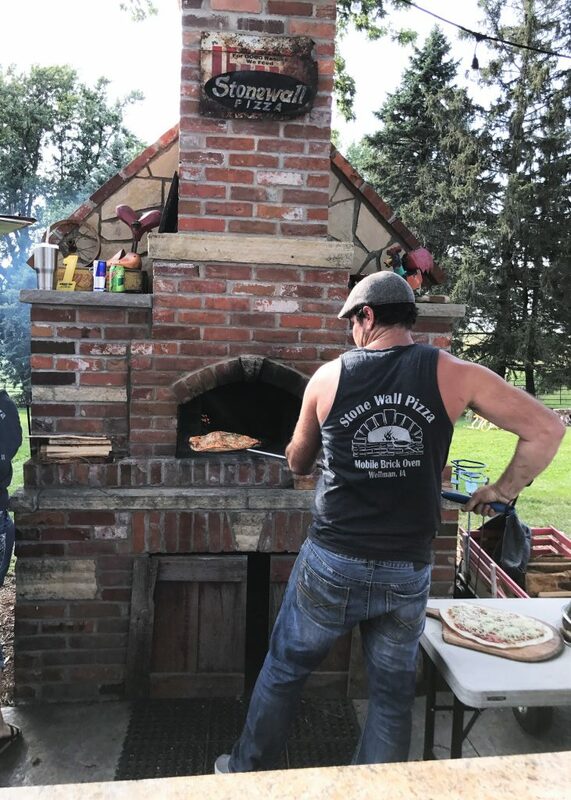 Stonewall Pizza fires up the oven … literally … on Friday nights and people come from all around to enjoy their pizzas, yard games, live music, and the peace and quiet of farm life. 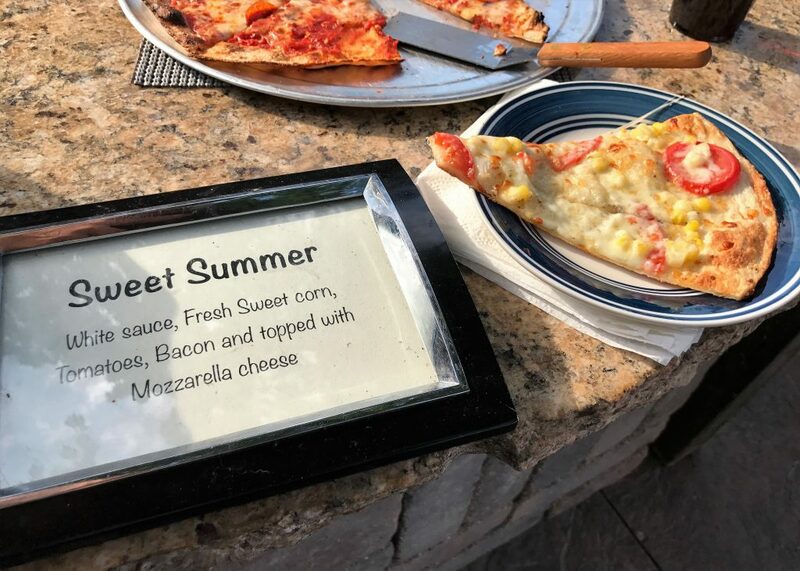 I even came home from this trip with a new favorite summer pizza combination: sweet corn, tomato, and bacon! 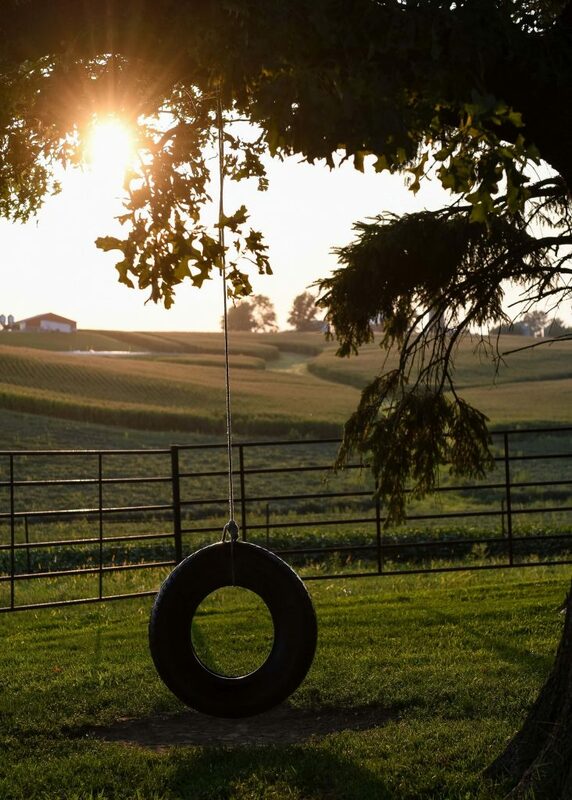 Seriously … is there anything that says “Iowa Farm Country” than that??? … but you can’t take the farm out of the girl. A recurring theme throughout our tour was established by the “younger” generation who were establishing themselves. 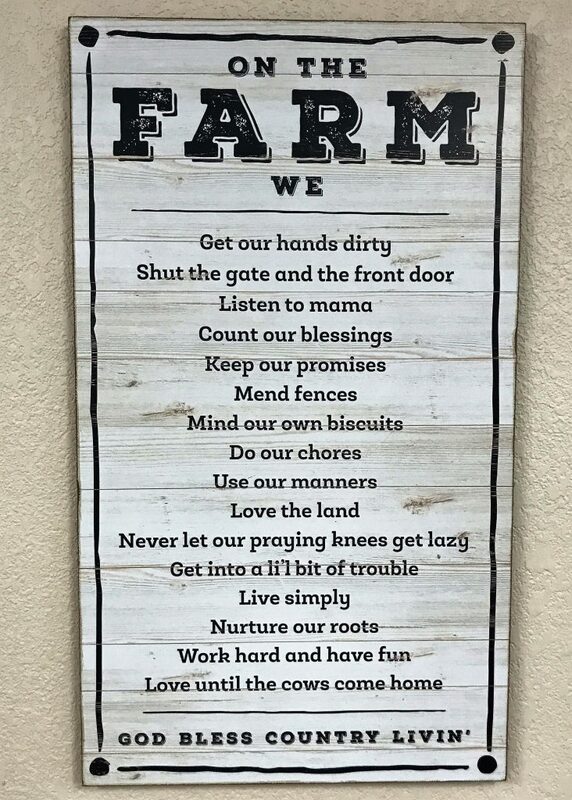 I think I heard three different 30-somethings say “When I graduated high school, I was never going to live on a farm again!” They practically blush (men and women) when they say this because obviously the pull of farm life got to them. I do live in a suburb. When the seasons change, I need a drive in the country to see the crops. I crave a trip back to the family farm to ride in the combine or just eat a meal to the field. 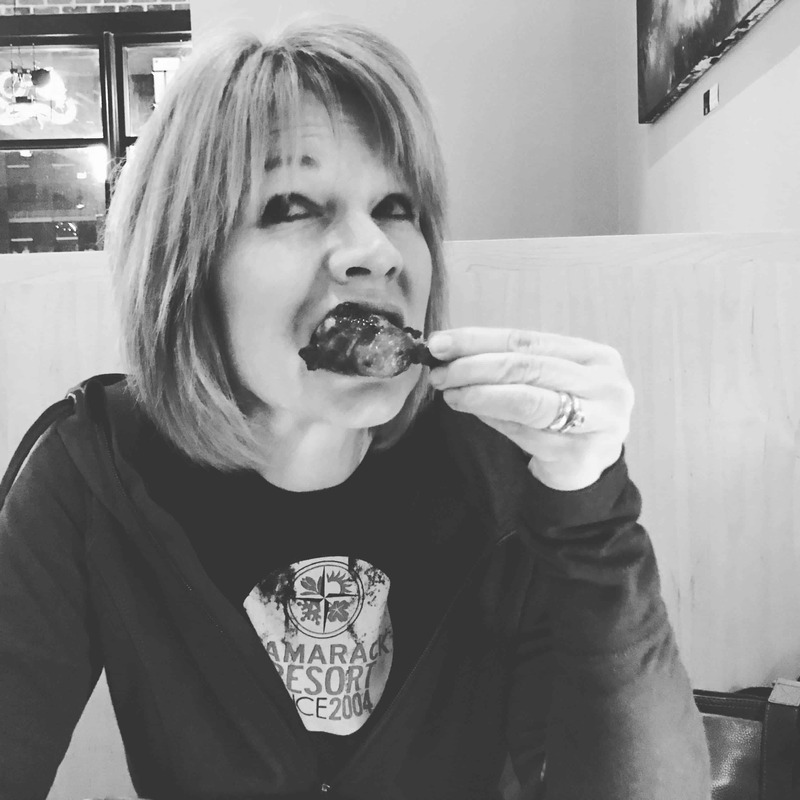 I don’t miss the hog production side of things as much, but I sure do miss the bacon … and ham … and chops. I’m not back on the farm … yet. Thanks, Iowa Food & Family Project, for giving me a taste of what I miss. 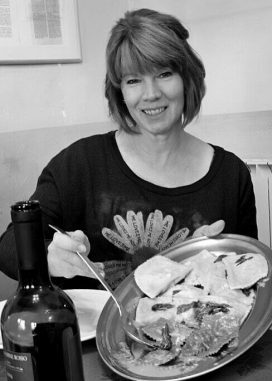 Great blog Anita – thanks for sharing your trip!